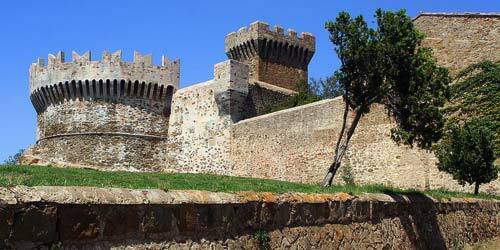 Populonia in 'antiquity was one of the most important world centers for processing and trade of iron. Populonia of the village is situated on top of a hill, literally surrounded by the sea, this characteristic makes Populonia loads of charm, within the country you can visit a private museum of Etruscan and Roman remains, discovered in the area and at sea. The village is surrounded by medieval walls of the fortress of defense against pirates, and within the small village you can still breathe the air of Etruscan times.